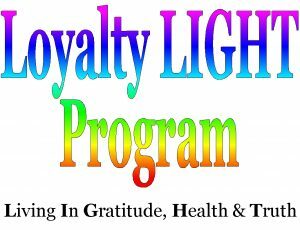 The Loyalty Light program was devised to show our appreciation for all of those whose choose health and want to learn to achieve balance in the body. We strive to assist you in understanding the true workings of your body and how the body is a flow system. We teach you how to care for your self! This is also a way to save on your purchases throughout the year. It is our way of giving back to anyone that is beginning their journey into holistic modalities and to understand what no longer has to be a mystery. Nothing that we do here is new, it is time tested with experiential proven success. Many clients have asked about discounts on our products and we listened. We are a small business with a large clientele. We want to give back in a way that works for you and us. You purchase a gift card for one of the predetermined amounts. Each amount will be paired with a percentage off. For example: You buy a $250.00 gift card. Each time you come into Holistic Apothecary and use that gift card you get a 5% discount on your total order. This goes on until the $250.00 is used up completely. This is an excellent way to save money if you are a client of Dr. Bucci, on a three month protocol with your natural supplements. 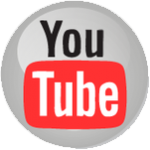 This program is for Holistic Apothecary products, services and classes only. It does NOT include Consultations with Dr. Bucci or services provided by outside vendors such as, but not limited to, Readings with Karen, Toning with Peggy, Yoga with Fran or Regressions with Kim. This offer cannot be combined with any other sales or discounts or promotions. This is our way of giving back to you for your loyalty and trust in Holistic Apothecary. It’s all about being Grateful for the opportunity to serve! 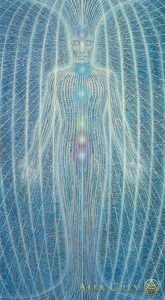 In this beautiful Art By Alex Grey, you see thru this amazing visionary’s work our energetic connection to the whole which is a common thread in finding balance and achieving health and well being.